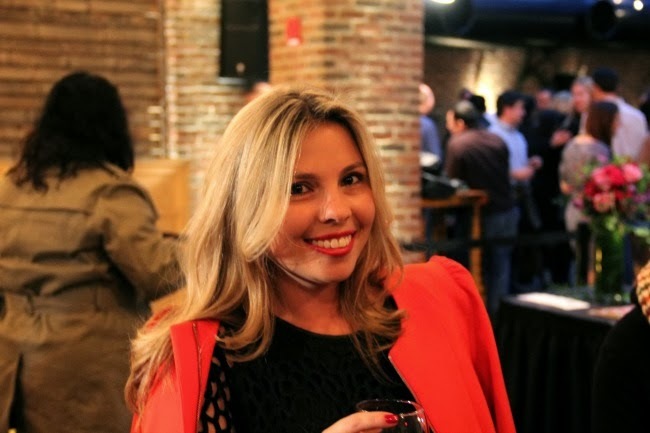 We arrived in New York City on Wednesday evening for the Lucky Fabb conference and the first event on the agenda was a cocktail party at the Refinery Hotel on W 38th Street. It was my first time visiting this hotel and I love the location and the ambiance. 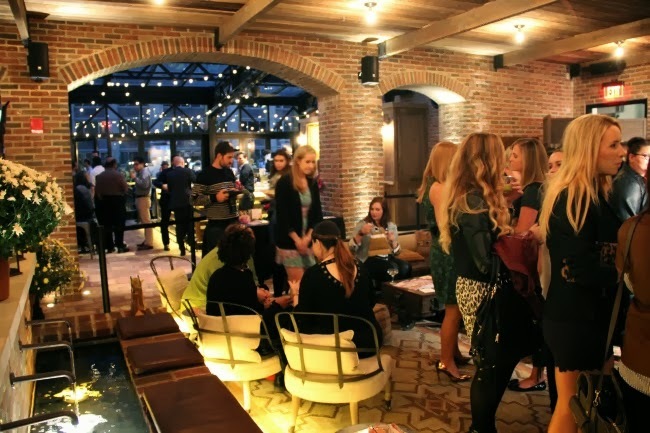 It definitely had the feeling of a boutique hotel, more trendy, cozy, and intimate. The best part was the roof top location where the party was held. 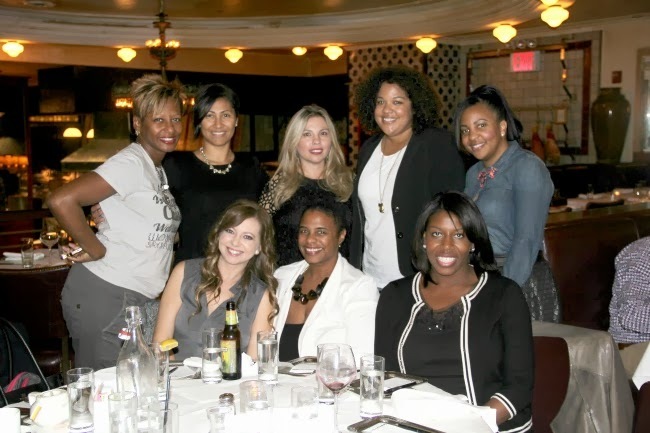 As you can see it was filled with bloggers for all over the United States and also from the DC area. After a couple of hours of chatting with some of the other bloggers, the DC group decided to head out for at a restaurant in the Times Square area. LOL...as you can see me, Elmo (one of my favorite characters), and Minnie Mouse had a photo op!! Time Square is always full of energy and excitement and even though I am in New York City a couple of times a year I never seem to find the time to stop by for a visit. I have to confess that I felt like any other tourist...I was awestruck by all of the crazy billboards, especially the ones for the new Hungers Games and Thor movies. I just love how massive they are...crazy isn't it!? We opted for an Italian restaurant for dinner..sorry guys, I forget the name! The food was pretty good, but I wouldn't recommended it, since it seemed a little bit overpriced for what you got. All in all, it was a great night hanging out with my hubby and friends. 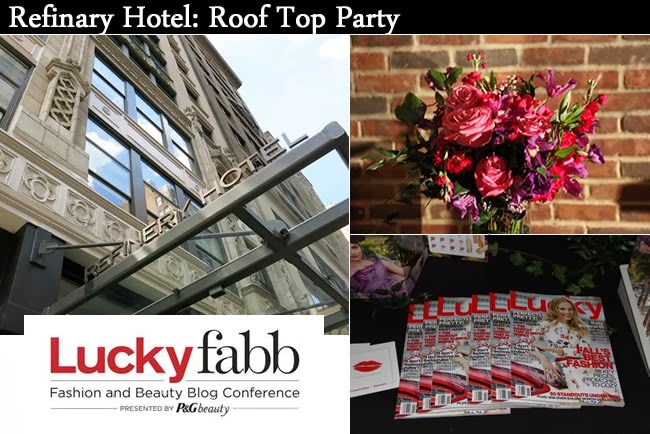 Chegamos em Nova York na quarta-feira à noite para a conferência da Lucky Fabb Magazine e o primeiro evento da agenda foi uma festa no Refinaria Hotel na rua W 38th. Foi a minha primeira visita a esse hotel, e eu adorei a localização e o ambiente. Ele definitivamente tinha a sensação de um hotel "boutique", mas moderno e aconchegante. A melhor parte foi a festa do evento, localizada na cobertura do hotel com uma vista linda para Nova York (pena que estava frio). Como você pode ver, estava cheio de blogueiros de toda parte dos Estados Unidos e também da área de DC, onde eu moro. Depois de algumas horas de bate-papo com outros blogueiros, o grupo de DC decidiu se encontrar em um restaurante na área de Times Square. 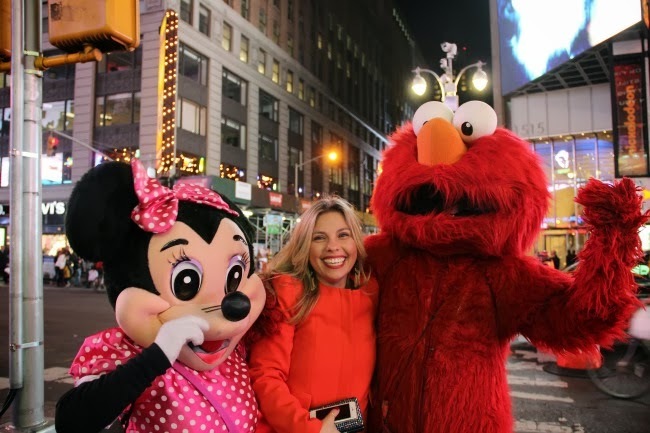 Risos... como você pode me ver na foto com o Elmo e Minnie Mouse (o Elmo é um dos meus personagens favoritos). Time Square é um lugar cheio de energia. O que rola naquela rua é simplesmente muito legal, e o interessante é que mesmo que eu vá para Nova York varias vezes ao ano, eu nunca passo por lá... Eu tenho que confessar que me senti como qualquer outro turista ... Eu estava impressionada com todos os outdoors doidos, especialmente os do filme "Humger Games" e Thor . Eu adoro a forma como eles são enormes ... muito louco né pessoal? Você não faz ideia o quanto eu sonho em conhecer NY! Está nos meus planos para no máximo 2 anos! This will be cool memories for you glad you had a awesome time and met new bloggers. You look stunning next to Minnie and Elmo. Great photos! My little girl would be all over Elmo. :) I agree the restaurant was ok and certainly overpriced. We were in great company though, love DC bloggers. 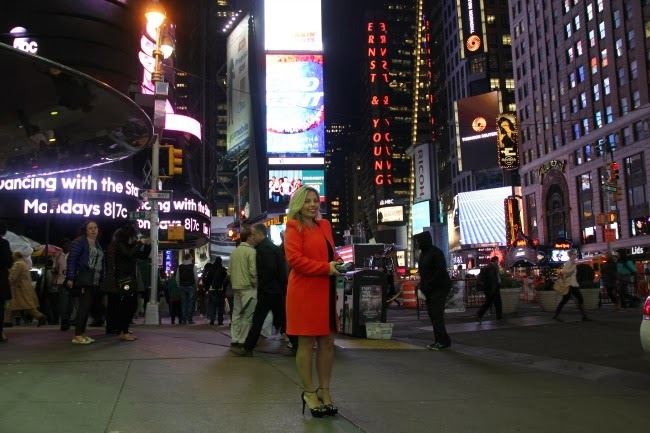 Que lugar lindo Ana,Times Square meu sonho!! Amei suas fotos. Espero algum dia conhecer NY!